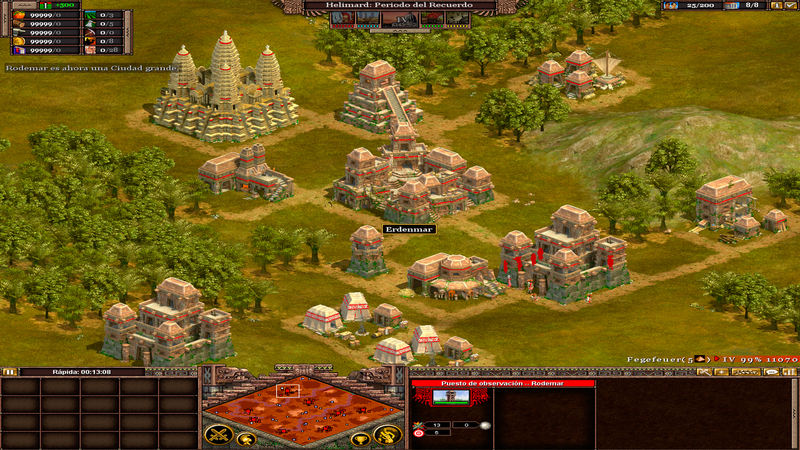 Welcome to the mod for Rise of Nations: Thrones and Patriots of The Lays of Assiriand! With this mod you will be able to choose any of the civilizations of the Perennsil or their corrupt version and play in skirmishes. The conquest world is also added, can you claim the worlds? 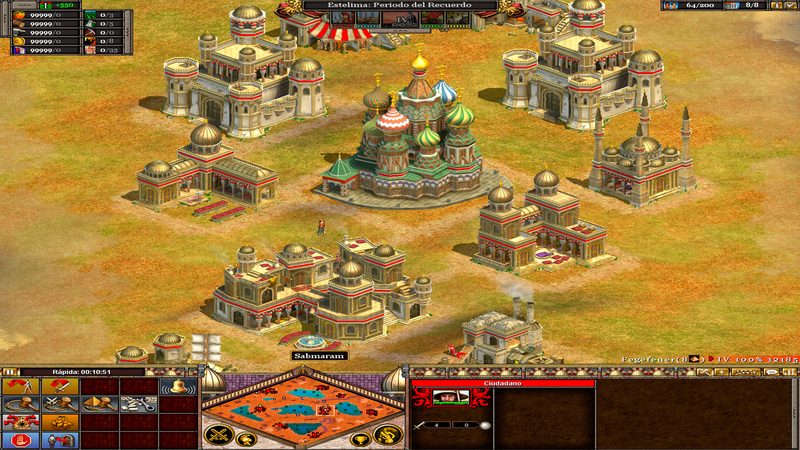 This mod will only work in Rise of Nations: Thrones and Patriots (the expansion). I have used Rise of Nations Gold (that includes the original game and expansion) to make this, so I recommend that version. Before to install it is highly recommended to make a security copy of the files that are going to be replaced to be able to play the original game again replacing again the files. If not, the original files of the game will be lost and to play to the original game without mod will be necessary to reinstall the game. This mod is in english and spanish. In the download there are the files for both languages. The instructions to install them are the same but you can only install one at same time (as far as I know). Each civilization is an edit of the default civilizations, generally changing the name and some appearance, letting the effects of Powers the same, but inspired in the culture of each civilization. Each civilization has the corrupt correspondence, being the only difference the powers, but it was something necessary to be able to make the Conquer the World mode more realistic. The name of the four first periods has been changed. Now they are called First Period, Second Period, Third Period and Remembrance Period. The rest of the periods don't have the name changed, but any of these civilizations should pass the Remembrance Period. I recommend that always you play with these civilizations you put the limit age to that period. In conquest mode, although it appears that the final age is the age of information, I've tested it and I've made that the campaign ends a bit later than reaching the Remembrance Period. Each civilization has two wonders (except the Nordmar, that only have one). In the description of each wonder you can read of what civilization is. Although all the civilizations can build all the wonders, I recommend to only make the said ones. Wonders: Statue of the Hopeful Hero and Colosseum. The Aelmë have the power of wisdom. The Aelmë of Assiriand are known as the Children of Stars and Sensitive Sages. Their periods are Archaic Period, Classical Period and Sensitive Period. Library research cheaper (except Knowledge) and faster. Can build Universities and collect Knowledge from the beginning of the game. Libraries and Universities cheaper. The Aelmë Corrupts have the power of tirany. The Aelmë of Assiriand were corrupted, and their leader is Mossirath the Deadly. Forts cheaper and faster to build, exert National Borders, and get free upgrades. Heavy Infantry created cheaper and faster. Start with one Military research at the Library. Receive free Heavy Infantry whenever you build a new Barracks (one with Second Period, two with Remembrance Period plus 3 Military research, and three with Industrial Age plus 5 Military research). Cities gather an extra Wealth. The Nordmar have the power of abundance. The Nordmar of Norgidiand (Norgdgiand) are known as the Guardians of Nature. Their periods are Arboreal Period, Heroic Period and Mythical Period. Granary, Lumber Mill, and Smelter production upgrades are cheaper and available sooner. Cities gather an extra Food, Timber, and Metal. Building completion bonuses. Submarines and Fireships built faster and cheaper. Air units created faster. Each new Airbase comes with free Fighters. The Nordmar Corrupts have the power of the bloodthirst. The Nordmar of Norgidiand (Norgdgiand) were corrupted, and their leader is Morgathrond of the Blood Hands. Receive a free General each time you build a new Fort. Supply Wagons heal your troops. Receive a free Supply Wagon each time you build a new Siege Factory or Factory. Siege Factory and Factory units created cheaper and faster. They also move faster. Free Lumber Mill and upgrades. Woodcutters Citizens. Timber Commerce Limit increased. Wonders: Tower of the Stars and Dome of the Firmament. The Caelfim have the power of the firmament. The Caelfim of Ciriliand (Cil-e-Land) are known as the Guardians of the Celestial Beings. Their periods are Archaic Period, Astral Period and Celestial Period. Start with a Temple and receive Religion upgrades for free. Start with an extra Citizen, receive 3 when you build your next City, and 5 for all future Cities. Repair is faster. Your Citizens can build and repair buildings that are under fire without penalty. Receive the Militia, Minuteman, and Partisan upgrades for free. Towers cheaper. The Caelfim Corrupts have the power of darkness. The Caelfim of Ciriliand (Cil-e-Land) were corrupted, and their leader is Sámmanath the Bearer of Darkness. Barracks units created cheaper and faster, for each Age plus Military research. Barracks units do extra damage vs. buildings for each Age plus Military research. Ships are cheaper and Aircraft Carriers are created faster. Farms are cheaper. Farms and Fishermen produce more resources. The Asgranes have the power of the elements. The Asgranes of Asgariand (Asgaralad) are known as the Powerful and the Dominators of Elements. Their periods are Old Period, Middle Period and New Period. Start with a Granary, and receive Granary upgrades for free. Food Commerce Limit increased. May build 2 Farms per City. Farms generate more Wealth. Wonders cost less, can be built an age early, and may build two per City. The Asgranes Corrupts have the power of the pillage. The Asgranes of Asgariand (Asgaralad) were corrupted, and their leader is Durcharath the War Minion. Receive Food for every Citizen, Scout, and Cavalry unit (except when garrisoned) instead of building Farms and Granaries. Farms and Granaries in captured enemy cities are instantly destroyed. Borders are invisible to enemies. Can construct buildings anywhere in territory not belonging to an enemy nation. Ranged Cavalry upgrades are free. The Misanye have the power of medicine. The Misanye of Midiand (Midyanin) are known as the Spirituals and Adorers of the Natural Energies. Their periods are Natural Period, Spiritual Period and Ethereal Period. Science research at the Library cheaper. Receive Herbal Lore, Medicine, and Pharmaceuticals upgrades for free. Start with a Large City. New Cities you found become Large Cities. Citizens, Caravans, and Merchants created instantly. The Misanye Corrupts have the power of the horde. The Misanye of Midiand (Midyanin) were corrupted, and their leader is Maethond the Hunger Caller. Receive free Ranged Cavalry whenever you build a new Stable or Auto Plant (5 at start, 3 with two Military research, 7 with three Military research). Mounted units created cheaper and faster. Receive +1 Food for each of world landmass controlled (times half the number of nations). Attrition to your units reduced. Receive Forage/Supply/Logistics research free. The Estelima have the power of the motherland. The Estelima of Esteliand (Estel'inam) are known as the Adorers of the Divine and the Light and Knowers of the Luminic Power. Their periods are Maternal Period, Luminic Period and Mythic Period. Attrition damage to enemy units in your territory increased. Attrition upgrades are free. Start with 1 free Civic research at the Library. Spies are half price. Cavalry units do more damage to enemy Supply and Artillery units. Plunder from Estelima buildings goes to the Estelima, not the enemy who plundered them. More oil gathering. The Estelima Corrupts have the power of siege. The Estelima of Esteliand (Estel'inam) were corrupted, and their leader is Nínhirath the Pestilent. All siege, artillery, and bombardment units have more range and more Line-of-Sight. Receive 3 free Siege unit(s) whenever you build a new Siege Factory or Factory. Citizens cheaper. Conquered cities assimilated faster. Siege units upgrade for free. Military research at the Library cheaper. The Helimard have the power of supervivence. The Helimard of Helíriand (Helrriand) were corrupted and obliged by Mínireth the Lord of the Emptiness to serve him under penalty of death if they disobey. Cities, Towers, Forts, etc. fire extra arrows/bullets--including Cities without garrisons. Buildings tougher and all non-Wonders are faster to build. Buildings cost less Timber (except Wonders and military buildings). The Helimard Corrupts have the power of devastation. The Helimard of Helíriand (Helrriand) were corrupted and obliged by Mínireth the Lord of the Emptiness to serve him under penalty of death if they disobey. Gain bonus resources per Age when your Barracks, Stable, and Dock units slay an enemy (with maximum). Plunder from enemy buildings increased. Start with one Military research at the Library. Receive free Light Infantry whenever you build a new Barracks (one at start, two with Second Period plus a Military research, and three with Remembrance Period plus 3 Military research). 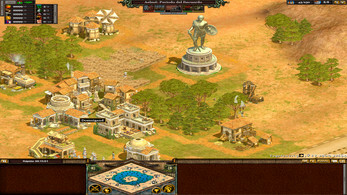 The folder C-Users-Username-AppData-Roaming-Microsoft Games-Rise of Nations is the name of the directory. You have to put the file of this folder in the folder of that directory. That file is to be able to use the custom colors (see the manual in the download for explanation of custom colors). 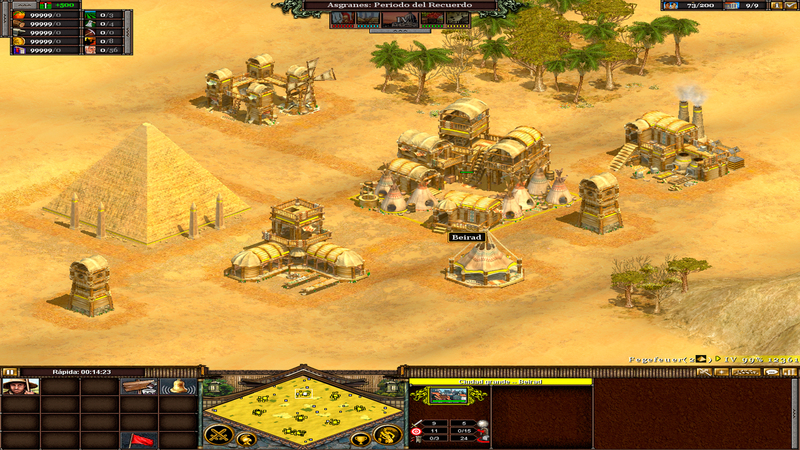 The folder C-Users-Username-Documents-My Games-Rise of Nations are the saved maps. Copy the interior of that folder in the directory and you will be able to play those maps, that are a preview of the civilizations. Copy in the directory of the game the folders included in English (or Español). It will ask to replace. When it is done, the mod is ready to play.